Background: Physical activity has been effective in enhancing quality of life (QOL) of older adults over relatively short periods of time. However, little is known about the longterm effects of physical activity and even less about the possible mediators of this relationship.Purpose: We examined the mediating effects of psychological variables on the relationship between physical activity and global QOL (satisfaction with life) in older adults over a 4-year period.Methods: Participants (N = 174, M age = 66.7 years) completed a battery of psychosocial measures at 1 and 5 years following enrollment in a 6-month randomized controlled exercise trial.Results: Panel analysis conducted within a covariance modeling framework indicated that physical activity was related to self-efficacy, physical self-esteem, and positive affect at 1 year, and in turn, greater levels of self-efficacy and positive affect were associated with higher levels of QOL. 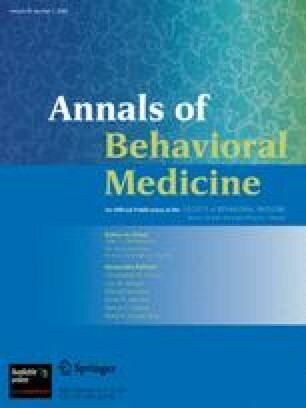 Analyses indicated that changes in physical activity over the 4-year period were related to increases in physical self-esteem and positive affect, but only positive affect directly influenced improvements in QOL.Conclusions: The findings lend support to the position that physical activity effects on QOL are in part mediated by intermediate psychological outcomes and that physical activity can have long-term effects on well-being. Funding for this study was provided by the National Institute on Aging (AG 12113).